Many bloggers have written incredible posts about the shocking cesarean rate, VBAC support, and resources for healing. I’m not going to try to repeat what they have already so eloquently written. I want to talk about the idea of family-centered cesarean birth. I don’t attend many cesareans. The ones I’ve attended lately are so vastly different from the ones 5 or 6 years ago. Those involved babies sent to nurseries while mom was in recovery–sometimes alone. Waiting family members snapped pictures of this new life while mom caught only a quick glimpse in the operating room. Now, I witness something astoundingly different. It is much more common to witness births in the operating room involving skin-to-skin contact, sometimes delayed cord clamping, moms with arms unstrapped, and recovery together as a family. Baby is often held skin-to-skin with dad when not on mom’s chest. Doulas are more frequently allowed to accompany the family for the cesarean. Recently, one of my couples experienced a cesarean birth. After pushing for hours in every position imaginable, their posterior baby (with a 15 inch head, mind you!) was born by cesarean. Their medical team gave us all the time we needed to try every trick I knew. The couple was disappointed but they remained empowered throughout their birth experience. They won’t be showing up for the 18 month cry. 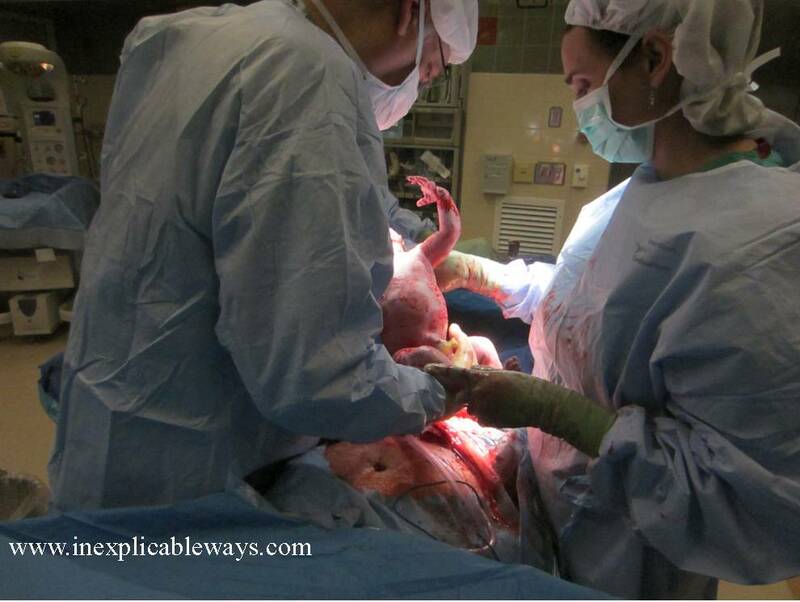 I want to share a few of the pictures from their cesarean birth. 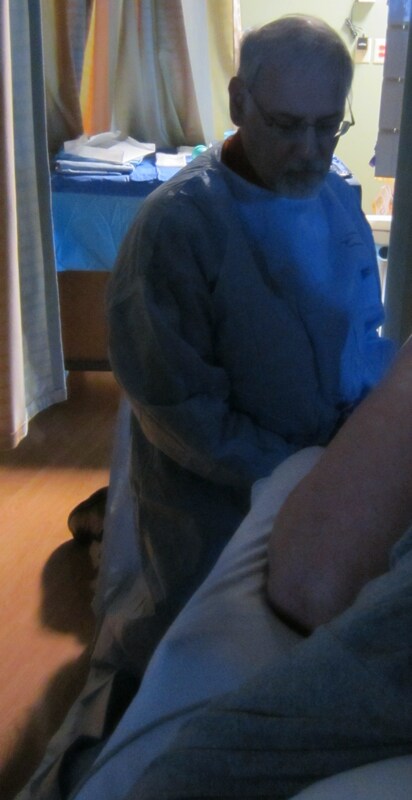 The obstetrician called in to perform the cesarean was Dr. Danielle Harris. She immediately agreed to their wishes for delayed cord clamping and skin-to-skin. The family physician who had supported them through the birth was Dr. Keith Stafford. You know him on this blog as Dr. Polo Shirt. 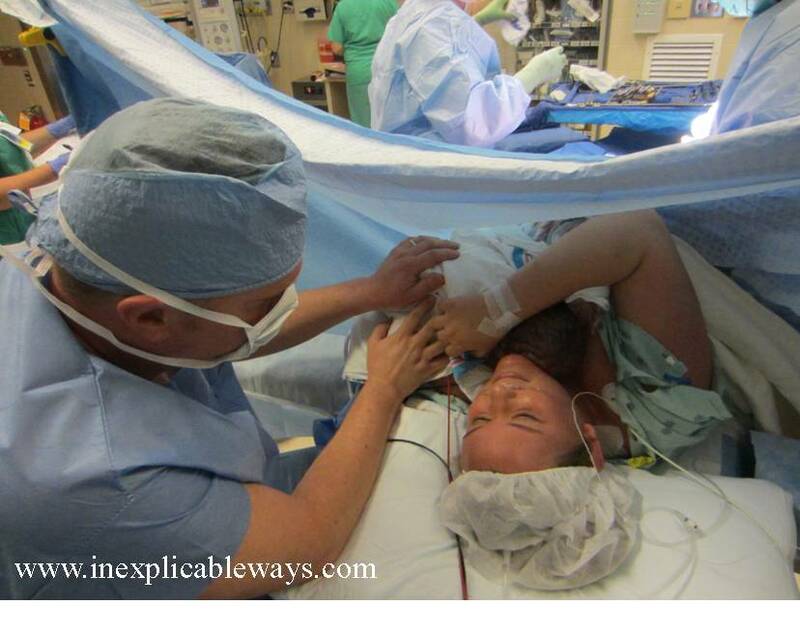 Dr. Harris hands baby to Dr. Stafford who places him directly onto mom’s chest. He doesn’t dry the baby first or take a detour to the warmer first. Dad steps in to help mom hold their son. Mom’s arm is free to touch her baby. Here’s hoping that more babies who must be born by cesarean will experience a gentle welcome like this one. Huge thanks to my clients for permitting me to share a little of their birth experience. Posted in Birth and tagged cesarean birth, Cornerstone Family Medi, Dr. Danielle Harris, dr. polo shirt, family-centered cesarean, gentle cesarean, greenville doula, Greer Hospital, greer memorial hospital, greer ob/gyn, immediate skin-to-skin cesarean, Keith Stafford. Bookmark the permalink. Tyler and I enrolled in hypno-birthing classes for Crain’s birth. Julie was once again our guide during this pregnancy, and we learned so much in our classes. I did my Hypnobabies homework religiously and I feel that Crain’s birth benefited greatly from my hypno studies. I had been in the care of Dr. Stafford for this pregnancy. Dr. Stafford delivered Preston and I truly admire Dr. Stafford and I am very grateful to be in the care of such a hands on, awesome physician. But with all that said, Dr. Stafford cannot control hospital procedures and there was something in me that really did not want to fight to have the birth I wanted. I knew in the hospital, I would have to battle to have a true hypno birth, and so after going back and forth on the “homebirth idea” We connected with our midwife from the beginning and I felt calm and at peace about the homebirth idea after meeting with her. She was extremely knowledgeable about birth. So it was decided a Homebirth for Crain! We were excited and at peace with the idea, however; kept it a secret because I did not want to hear all the negative comments. So May 7th (Crain’s guess Date) came and no baby Crain, and boy oh boy how it made people mad that he was not here. I was determined to let Crain choose when and how he came into this world. But it was hard to be out of control and it taught me the first lesson of being a good parent, PATIENCE, and most of all it made me closer to my faith. I knew God was watching over us and I knew I was doing the right thing. I read quotes and scriptures every day and had faith I was making the right choice. Our birth team walked us through this wait and made me feel that it was normal when most everyone around us were asking when we were going to be induced, and when were “they” taking the baby, and don’t forget the people sharing with us why you should not carry your baby past it’s guess date. It was a long 14 days for many reasons, but looking back I am so proud of us for having faith and waiting on Crain. If I would have delivered in the hospital, I would have had to been induced and I am so happy I did not do that. Thank you to Tyler, my Mom, and my sister Laura for really talking me through those 14 days and being so supportive of me. On Friday, May 20th, I started feeling some Pressure waves, that’s hypno talk for contractions. I went to acupuncture and had a nice relaxing session. I texted my birth team and told them that I was having some pressure waves. In the meantime, my parents came up (I had not told them I was having pressure waves because I did not know if it was truly labor). That evening, the pressure waves still came and went; I listened to a Hypnobabies script before bed and decided to get some sleep. At midnight, I got up and walked around, got some water, and tried to go back to bed. Once again I listened to my easy first stage Hypnobabies script. At 2:00 am, I got up and was definitely feeling more intense pressure waves. I woke Tyler up and told him that they were getting a little intense. I got into the tub as Tyler timed the waves. Oh yeah, they were close together and getting stronger. Tyler stood by my side and he does not even have to say anything to me during birth, he looks at me and I regain focus, and I instantly feel calm. Tyler is my strength when I run out of it in labor. Crain laid in my arms and talked, instead of crying he talked and talked (you know baby cooing). He apparently had a story to tell me about where he had been for the past 40 weeks and 14 days. The midwife arrived within seconds. Our birth team took great care of me and Crain in the hours to come. So why did we have a home birth? On May 21st, 2011 at 4:53 am, Tyler caught our 9lb 6oz son with his strong hands in the comfort of our home. I had no nurse chasing me around trying to check me. I was free of wires and IV’s. I was able to have a true, calm Hypnobabies birth. I was not met with paperwork to fill out nor did I have a nurse counting for me while I pushed. I was able to place Crain directly on me after birth. Tyler and I did not have to fight for anything we desired for Crain’s birth. It was a calm, beautiful, safe birth. We have been asked if we worried or why we would take a “risk” of having Crain at home. To answer those questions yes, of course I worry. I worry about both my children, constantly. Did I worry about birthing him at home? No! I was in safe hands and I knew our birth team would never put me or Crain in an “unsafe” situation. As far as risk, you take a risk whether you are at a hospital or at home. Ironically, if you do some research and listen to other birth stories, sometimes hospitals and their many interventions put you and your baby at more risks. Tyler and I weighed the benefits and risks and in this situation; and the benefits outweighed the risks. Tyler and I educated ourselves and surrounded ourselves with birthing professionals. It saddens me that instead of excitement after Crain’s birth, most everyone’s first reaction was that of worry and judgment. I understand that this is not the “norm”, but to those I say open your minds to a new yet old way of birth, do some research on natural hospital births in the US, and have faith that people make decisions for all the right reasons, and be okay with women who choose to not be the “norm” when they birth their children. I certainly do not judge other woman on how they choose to have their child. Posted in Birth, Doula, Hypnobabies and tagged Doula, Dr. Keith Stafford, dr. polo shirt, homebirth, Hypnobabies, hypnobirth, nike shoes. Bookmark the permalink. I got an email from Dr. Polo Shirt. It was too beautiful not to share. Why don’t we have more Dr. Polo Shirts? He gets it. “I had a really neat delivery this AM of a really sweet couple. Mom’s 3rd baby and was laboring on her side. (I have delivered all of her babies.) When it came time to push, she stayed on her side. Baby was OP [occiput posterior–facing toward the ceiling], so it took some work for her to push it out. Dad was sitting on a chair next to bed on the side mom was facing doing very supportive, support person stuff. I was sitting on the bed, behind the mother. Because of mom’s position, as the baby was coming into view the father was as close to her perineum as I was, so he got to see his child’s birth in detail, rather than peak from up above. The really cool thing was that since the baby was OP, as it was born, it had its eyes wide open and was looking right at his father, so his father was the first person he saw instead of me. 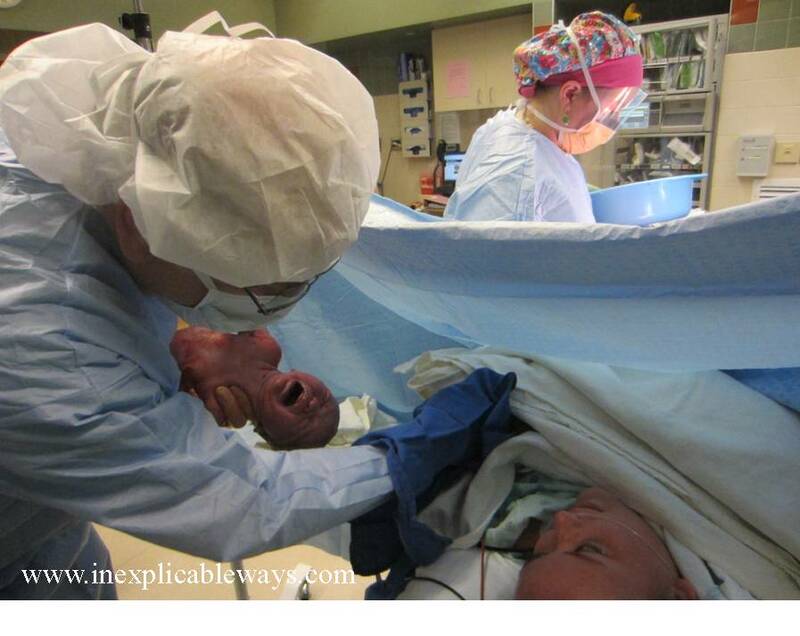 Then this baby took a big breath and began audibly crying while the head was still the only part delivered. I do not remember ever seeing that before. Most of the time, birth doesn’t need any help. A good care provider knows when to step away and let it happen. Let the couple experience their amazing moment. Let’s not rush in to save the day when it doesn’t need saving. Posted in Birth and tagged Cornerstone Family Medicine, Dr. Keith Stafford, dr. polo shirt, greer memorial hospital. Bookmark the permalink. Recently, my repeat client had a repeat breech. I blogged once before about this amazing woman. As you know, in the US, it is impossible challenging to find an OB willing to manage a vaginal breech birth. Heading into a repeat cesarean, this mama did her research and opened a dialogue with her OB about her choices. I’m delighted to report that Dr. Cowart with Greer OB supported her choice to wait 1 minute before clamping the cord and to have baby placed skin-to-skin. 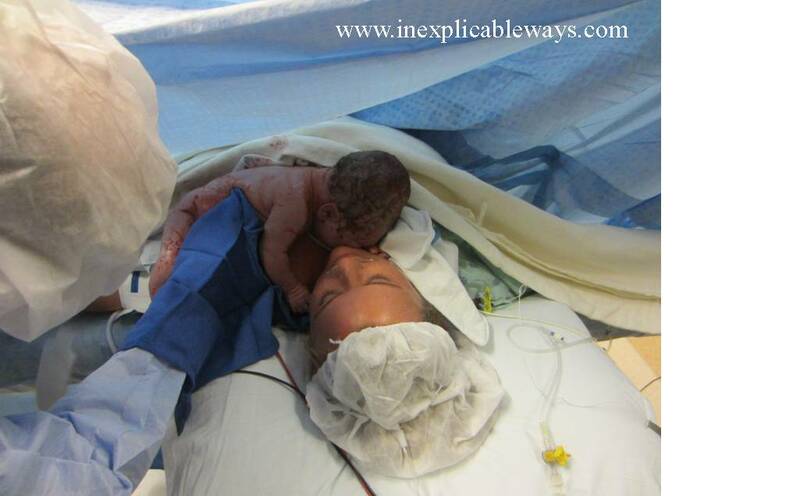 She enjoyed skin-to-skin contact for over an hour after her baby’s birth. I hesitate in posting this because I’m afraid Greer OB will be overrun with families who want choices in their births! Soon, they might become like Dr. Polo Shirt who is so busy he’s turning expectant families away. Thank you to this mama who maybe blazed a trail for other women to have this conversation! And congratulations on your beautiful baby! 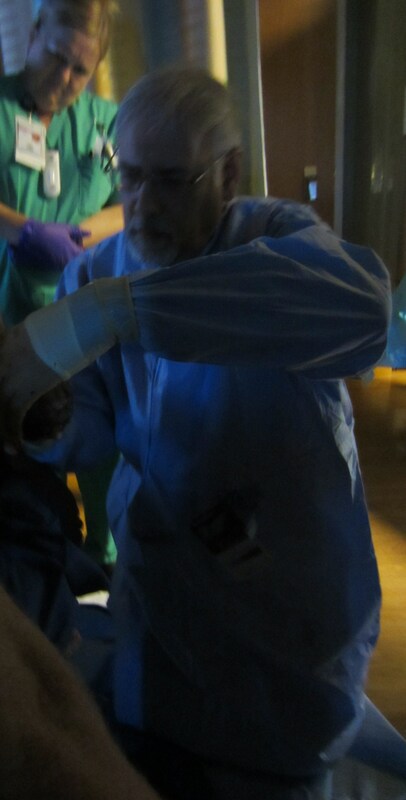 Posted in Birth and tagged cesarean skin-to-skin, delayed cord clamping, dr. polo shirt, Greer Memorial, Keith Stafford. Bookmark the permalink. Posted in Birth and tagged dr. polo shirt, induction. Bookmark the permalink.